This nitrile coated option can hold up to those tough environments that you face each day. Abrasion, snag, and puncture resistance combined with a soft interlock lining makes this glove a safe option that you can comfortably wear for extended periods of time. 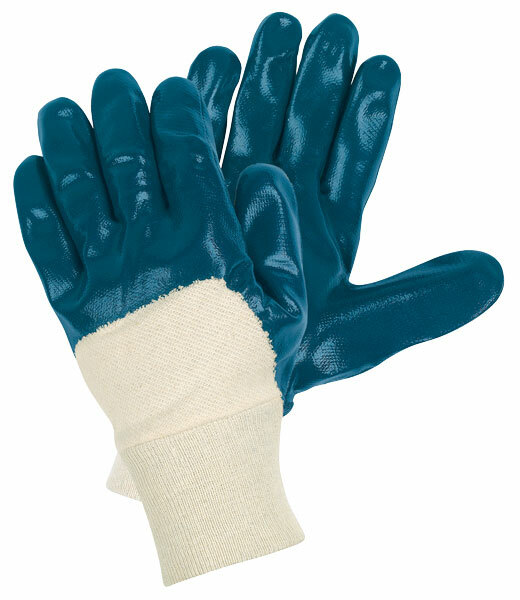 The 97950 features a knit wrist and jersey lining and is palm, finger, and knuckle coated with nitrile.